I have always loved books that tell a more modern tale of a Bible story because it really helps me relate to what the Bible characters went through and I never look at those characters as just "Bible stories" again! Remember me when helped me really understand what Abigail went through as I watched story unfold with Faith, Nathan and Roger in Remember Me When! I love the late 1800's setting and the story line of this book: the heartbreak, hope, love, endurance, and faith kept me glued to the pages of this book to the very end! 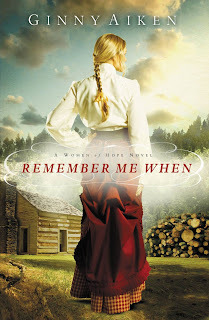 Buy It: You can purchase Remember Me When for $11.25 from Amazon.com.